Over the weekend, the focus of the Malaysia Airlines Flight 370 mystery shifted again, this time onto the pilots, as the country’s defense minister said the communication system on the plane was “disabled” at 1:07 a.m., before someone in the cockpit signed off (“All right, good night”) to air-traffic control. But today, the tenth day of searching, the head of Malaysian Airlines says never mind, they’re actually not sure. 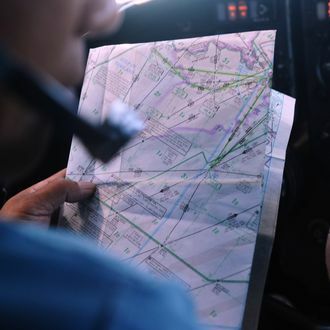 “We don’t know when the Acars [Aircraft Communications Addressing and Reporting System] system was switched off,” he said, according to the New York Times. But as we’ve seen, that could all change.